NOTE: All the mailing list providers can be integrated with Icegram. All you need to do is enter is the form’s HTML code in the form section of Icegram. Follow the steps given below within your respective mail list provider. 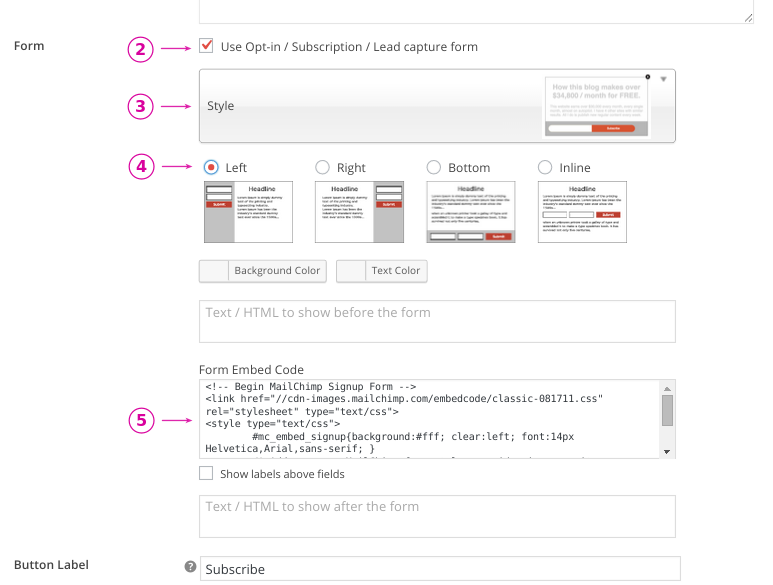 Part 1: How to get the Form in Mailchimp? Step 1: Go to Lists. Click on the list name you want to generate a subscription form for. Step 4: But what may work best, is to use “Super Slim” or “Naked” form, with minimum number of fields. The “Naked” form gives minimal form HTML code and you can easily customize it if needed. Step 5: Copy the HTML code from “Copy/paste onto your site” textbox. 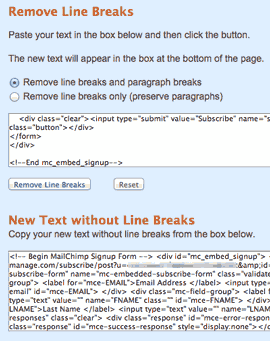 go to TextFixer’s free online line break / paragraph removal tool. 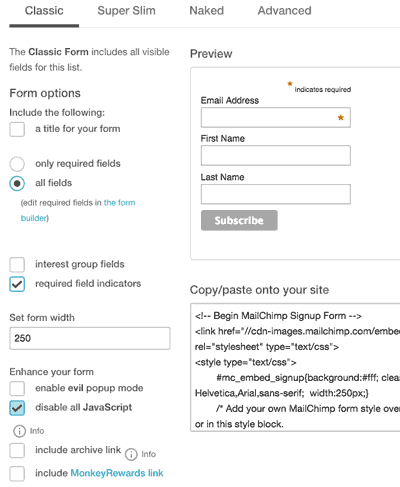 Paste MailChimp’s form embed code. Remove line breaks. Copy the resulting HTML code. Part 2: How to insert this HTML in Icegram Form Embed Fuctionality?